MariahCarey > News > 'All I Want for Christmas Is You' Hits New Peak at Hot 100! Carey joins an elite list of acts with Hot 100 top 10s in the '90s, '00s & '10s. Its previously-inducted members: Christina Aguilera, Dr. Dre, Whitney Houston, Enrique Iglesias, Michael Jackson, JAY-Z, Jennifer Lopez, Madonna, Snoop Dogg, Britney Spears and Usher. Two of those acts boast streaks dating even further back than the '90s: Jackson ('70s-'10s) and Madonna ('80s-'10s). Perhaps surprisingly, Carey charts one of the few holiday top 10s in the Hot 100's history. "The Chipmunk Song" by The Chipmunks with David Seville led for four weeks beginning Dec. 22, 1958; Dan Fogelberg's "Same Old Lang Syne" reached No. 9 in February 1981 (after debuting in December 1980); and New Kids on the Block's "This One's for the Children" rose to No. 7 in the 1989-90 holiday season. That two-decade-plus journey to the Hot 100's top 10 for Carey's "Christmas" has been aided by various offshoots of the song in recent years, including this year. The animated movie All I Want for Christmas Is You was released Nov. 14, four days after the arrival of its soundtrack, which includes the title song. The movie is based on a 2015 children's book of the same name, inspired by the song. A year earlier, in December 2014, Carey's All I Want for Christmas Is You, a Night of Joy and Festivity, an annual residency at New York's Beacon Theatre, began and she's continued it each holiday season since; this year, the show expanded to include dates in Paris; Manchester, England; and Las Vegas. Even before this decade, "Christmas" benefited from adult contemporary radio's expansion to 24/7 yuletide music on many stations throughout the holiday season, a strategy that began around the early 2000s. 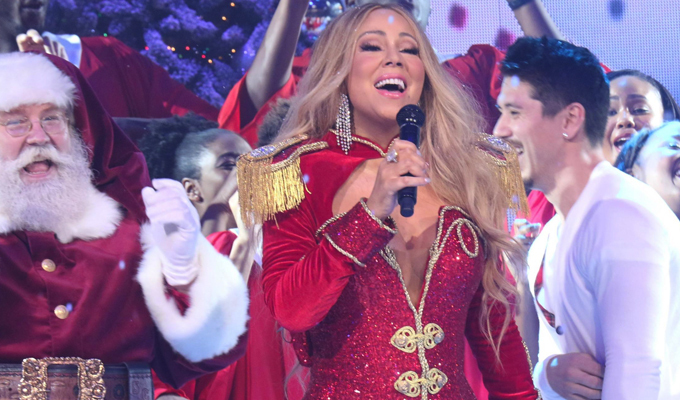 Beyond its new Hot 100 honor, Carey's "Christmas" crowns the Holiday 100 chart, which ranks seasonal songs of all eras (using the same measurement metrics as the Hot 100), for a 29th week. No other song has led for more than two frames since the list's 2011 launch.